Hydraulics systems are all about transmitting power. They do this by applying force at one point in the system. It’s then transmitted to another point in the system using a fluid that cannot be compressed – typically an oil of some type. For a basic hydraulic system, a pipe filled with oil has a rod with a piston connected at the end. Pushing oil into one end of the pipe pushes the rod down. Pushing oil into the other end pushes the rod up. 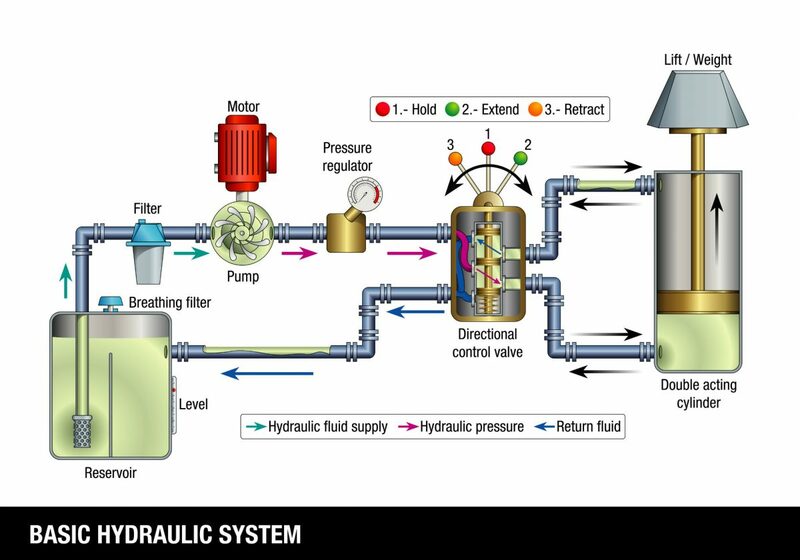 Sounds simple, but how about a real-world example of hydraulic systems and hydraulic system design? We explained above how a hydraulic cylinder works, by pushing oil into one end or the other. So now we would need a pump to pump the oil. Hydraulic pumps are designed for high pressure. They can be turned (or powered) by an electric motor or run from a gas or diesel engine. The pump pumps hydraulic fluid to a valve and the valve is connected to the cylinder. When the lever on the valve is pushed one way, it allows oil to flow into one end of the cylinder. When the valve lever is pulled the other direction it allows oil to flow into the other end of the cylinder causing the cylinder rod to move the other direction. Fluid from the pump goes to the pressure relief valve, the pressure gauge and the hydraulic valve. Once the hydraulic valve is activated, pressure is also applied to one end of the cylinder(s). A hydraulic valve must let pressure off of the opposite end that it is allowing oil to flow in. So if hydraulic oil is being pumped into the top of the cylinder, the oil in the bottom must be allowed to escape or the cylinder would not move. 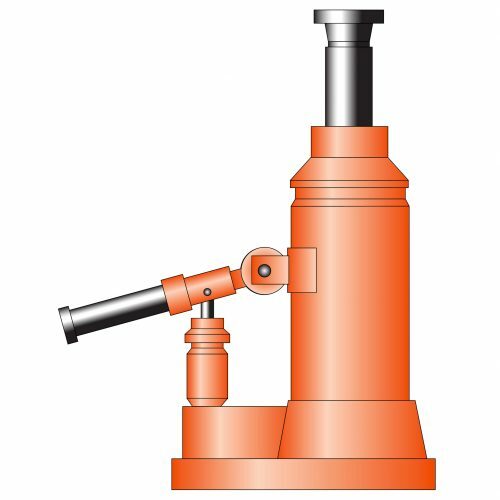 A hydraulic valve can also be “feathered” to very slowly move the cylinder, allowing for precise movement of the cylinder. 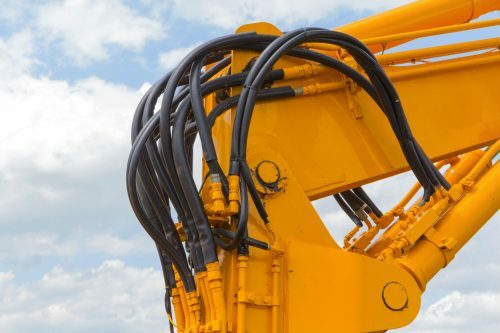 High pressure piping and steel braided hydraulic hoses connect the components together. If multiple operations are required a manifold would be connected to the system. One basic principle behind any hydraulic system is that pressure applied at any point in a body of fluid results in force transmitting in all directions equally. 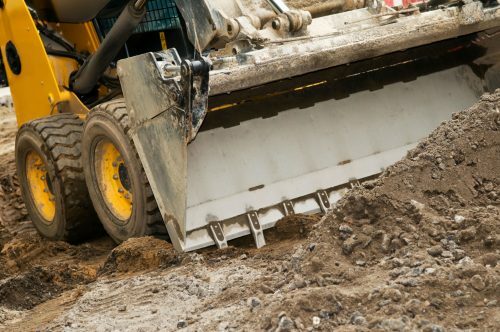 One other principle of hydraulic systems is hydraulic multiplication. Unlike mechanical systems, where force is traded for distance, hydraulic systems can multiply force by using differently sized pistons and cylinders. 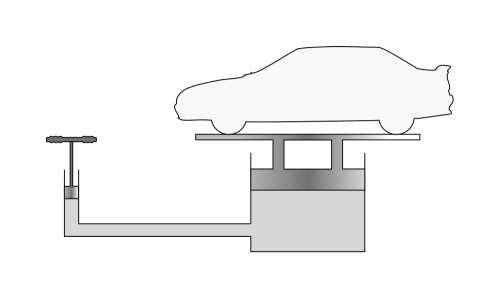 For example, a piston with a small surface area connected to a piston with a larger surface area will move more units of force than its original surface area. If the ratio is 1:9, if you apply 100 pounds of downward force to the piston the left, you’ll get 900 pounds of upward force on the right piston. But if you go the other way, you’ll have to apply 900 pounds of downward force to the right piston to generate 100 pounds of upward force on the left piston. In short, hydraulic systems make it easy to add or divide force multiplication. In the example here, with the manual hydraulic jack, as you pump up and down on the handle (left) the small piston pumps oil into the larger cylinder tube. You can effectively lift a car with only the force of your hand. 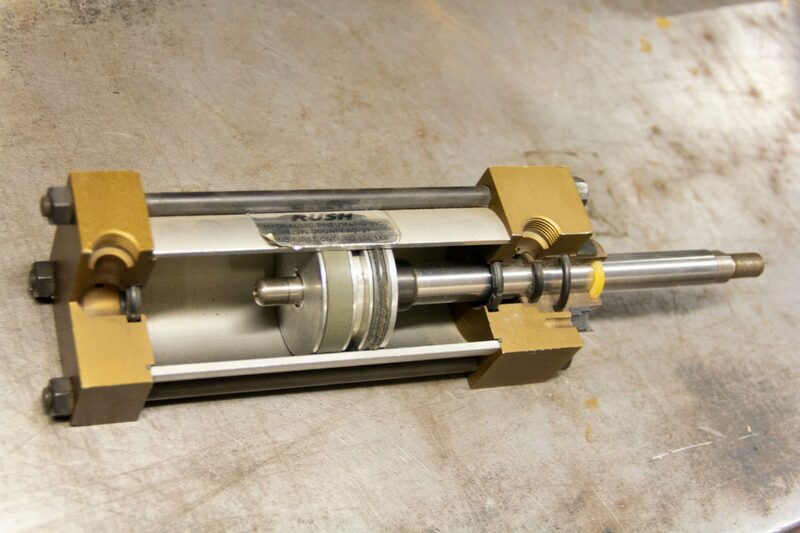 For more information or to have a custom hydraulics system designed for you, contact us today.